Good morning, hope you’re well? Today I’m going PINK! You’re not really surprised are you? 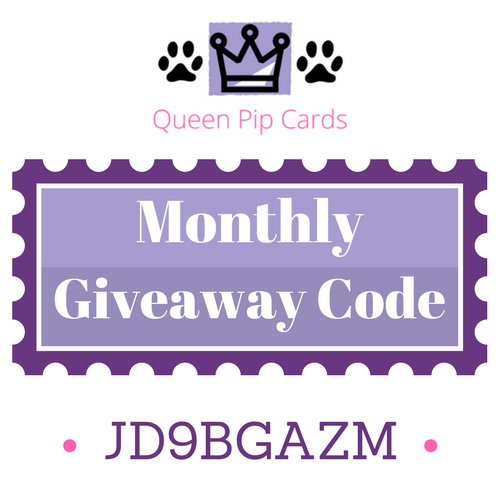 I had to go pink for at least one of my cards in the Count My Blessings series! So here we go – Pretty in Pink. In actual fact it’s Rich Razzleberry, but using your Watercolour Pencils and Blender pen you can get such a great range of colours. The flower image is big and bold, so it’s great for making big and bold backgrounds. 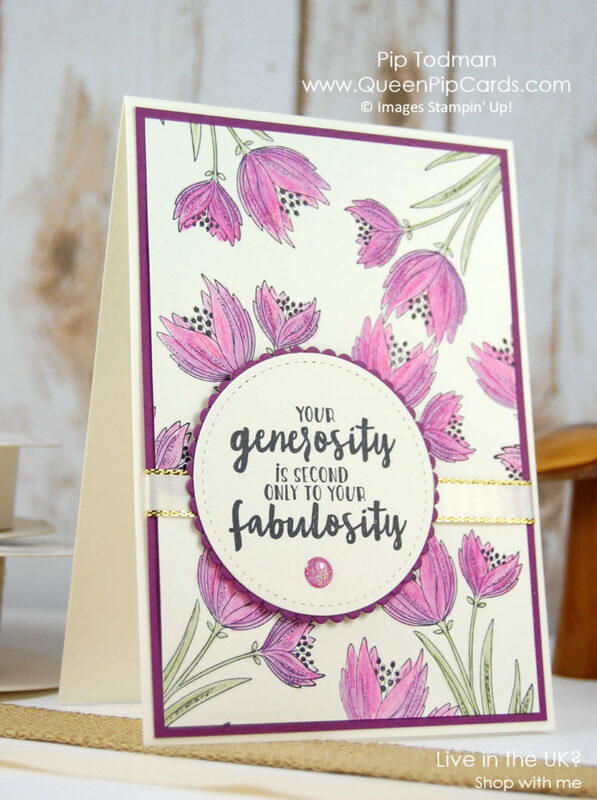 Just randomly stamp the flowers around the Very Vanilla card layer – there is an overlap & a bit of a gap under the sentiment, but that doesn’t matter. Colour using the Rich Razzleberry Watercolour Pencil, using more ink for the deeper areas and then just pulling the colour outwards with the Blender Pen to give a softer look. I know it’s a bit over the top, but this sentiment from Thankful Thoughts is made for me. I love making up words and I really think “Fabulosity” is something I may have made up! The Thinking of You card from Sunday used the Layering Ovals, this time I went for the Layering Circles with the Stitched Shape Framelits. I know these are your go to framelits too; they are so versatile and so many of the stamps are designed to specifically work with them! You can make this card so easily but the colouring in does take a little time. That, however, gives you the added benefit of a bit of stress relief! I totally forget about the world when I’m colouring, and it’s been scientifically proven to help take your mind of things! We knew it was a good idea! Why don’t you have a go? Make a Pretty In Pink, or Blue or Red! 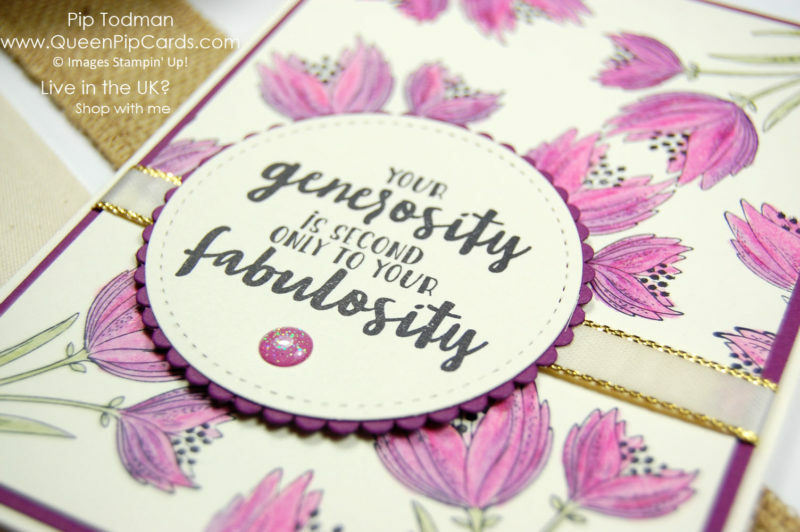 Hope you’re enjoying the series of cards, this was my Pretty In Pink – Count My Blessings card idea. Check back in on Thursday for the next one! 2 Charming Cafe Card Ideas Serene Garden Thank You Card Idea – Stampin’ Up! « Count My Blessings for the Online Extravaganza! I’m glad you love the colours! Me too! !